Apple in 2019 currently sells five different iPads, in five different price points. There's the 9.7-inch iPad which sells for $329, the iPad mini which sells for $399, this new iPad Air at $499, and the two iPad Pros at $799 and $999 respectively. 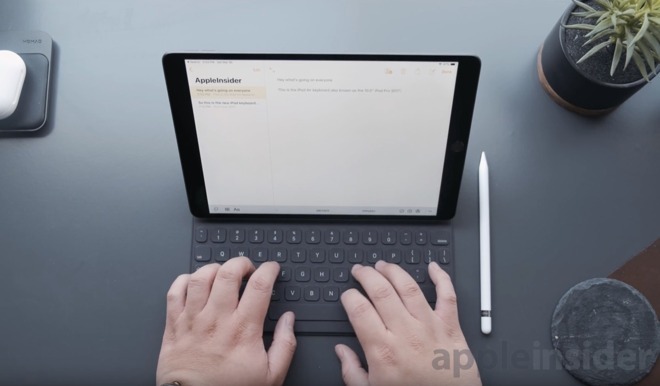 On the surface, that looks like a lot of iPad in Apple's lineup, but in 2019 maintaining a business that is just as large as the Mac, Apple has an iPad for everyone. This middle ground means at times it can feel underwhelming, and in certain areas, behind. That doesn't make it any less a capable device, however. With solid specs, it will likely be —and should be —the tablet that most gravitate towards. 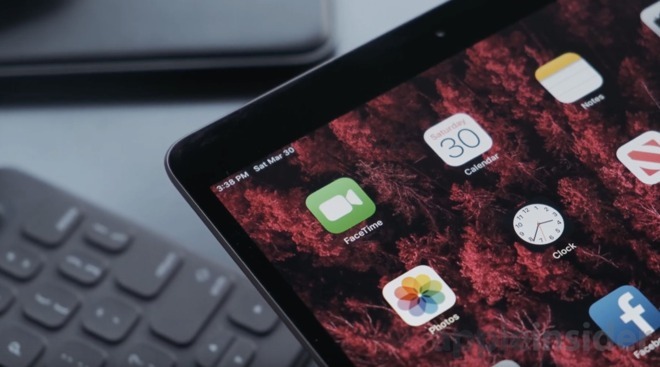 This iPad now features a 10.5-inch Retina Display with a P3 wide color gamut, it has an A12 Bionic processor inside —which is also inside Apple's flagship smartphone the iPhone XS, and XS Max —and it also now supports the first generation Apple Pencil and the Smart Keyboard. The A12 Processor on the 2019 iPad Air is ridiculously fast. It pairs well with iOS 12 —and soon iOS 13. For the past two weeks that we've had the device, we've never seen the iPad Air struggle one bit. Everything is so seamless and just works right out of the box. 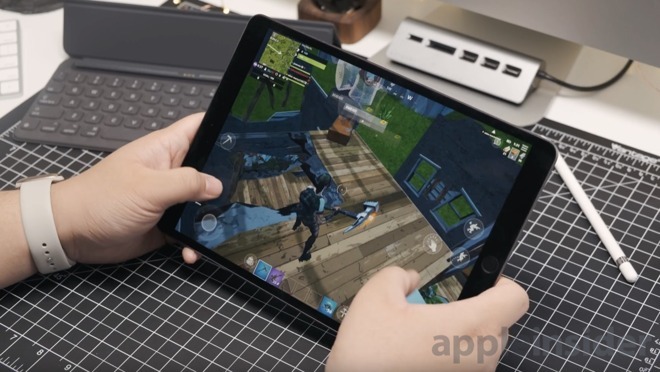 Gaming, just as we saw with the new 2019 iPad mini, was great. Titles like 'Fortnite' played smooth, even at a quicker 60 FPS with seldom errant dropped frames. The pair of speakers for stereo are decent. They're nothing to brag about, but definitely are a lot louder than any other tablet we've used this year, apart from Apple's own Pro lineup. There are only two of the speakers rather than four on the Pro line, which means when you hold the tablet it is fairly easy to accidentally cover the speaker which will limit the sound output. The overall software experience on the new iPad Air has been really good, too. We haven't run into any bugs or app crashes. It's still an iPad running the same old iOS we're used to over the past few years so we're not really getting anything special here. We're hoping this coming WWDC we'll see something amazing from Apple with iOS 13 that can visually overhaul this experience. It's certainly due. The Pencil support is a nice addition that a lot of people are going to appreciate. Unfortunately, the display doesn't have Apple's ProMotion technology which gives you a 120Hz refresh rate for a smoother experience. 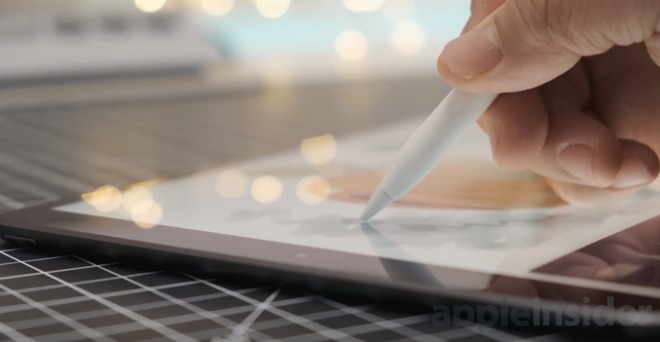 Slower refresh rates mean eagle-eyed artists will notice it to be slightly jumpy while using the Apple Pencil. Unless you are really particular about your drawing, you won't notice this difference. Those who are that serious will likely prefer the iPad Pro and the second generation Apple Pencil instead, but for note taking and less demanding work, there are no problems to be found here. 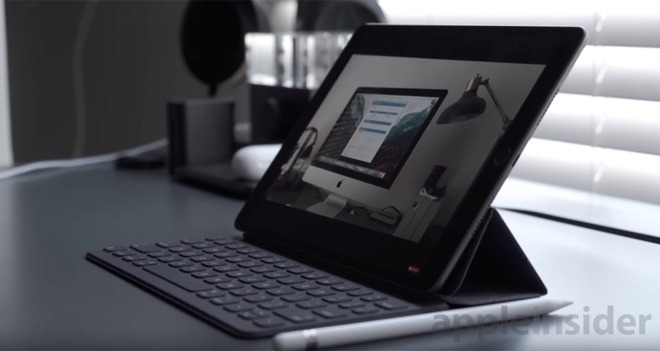 The smart connector is new here as well, it's meant to be used for Apple's own smart keyboard which in our opinion is the best keyboard that you can buy for the iPad. The keyboard is a bit stiff, and mushy at the same time, but once you use it long enough, it'll start to wear down and soften up to a point where every keystroke feels great. There are hundreds of Bluetooth keyboards out in the market already, but the smart keyboard is what we'd highly recommend. It is unfortunate that we still don't have additional accessories to use the Smart Connector. When Apple debuted it originally, third-parties were going to be able to take advantage of it. Years later, we've only seen two or three others actually test the waters, leaving the connector mostly for Apple's utility. Again, this is a case where the AppleInsider audience varies a great deal from the target market —no Promotion is a potential issue, as is the need for the original Apple Pencil, versus the new one on the newer iPad Pro line. But, even all that considered, overall, the new iPad Air is a solid 4/5, with it a bit higher for most of the iPad-using public, and a hair lower for the "prosumer" market. 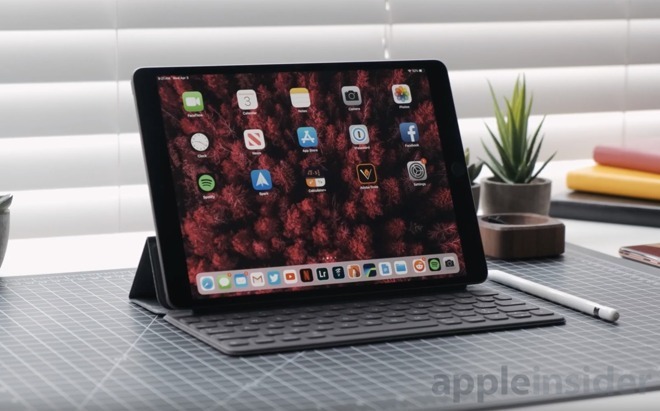 Apple's 2019 iPad Air can be ordered from Apple authorized resellers with cash discounts of up to $10 off. To find the lowest prices, check out our iPad Air Price Guide, which is updated throughout the day.